For Medicaid transportation trips, contact Logisticare at 866-269-5942. 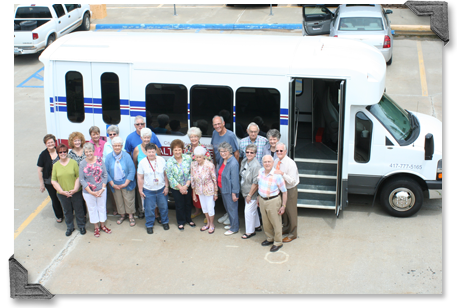 For more information, about CMH Health Transit, or to make ride arrangements, call 417-777-5165. Health Transit operates Monday through Saturday from 6 a.m. to 4:30 p.m. The driver will pick you up at your home, take you to your health-related destination and return you to your home after your appointment. Health Transit accepts private-paying patients and those qualifying for Medicaid.